A “positive company culture” is the one common thread that connects all organizations in Fortune annual 100 Best Companies to Work For survey (Levering & Moskowitz, 2001). Your organization’s culture can positively or negatively affect employee motivation, individual discretionary effort or your team’s morale. As a leader you can create a culture where employees’ thrive and the business grows. “Cultural analysis is the encountering and deciphering of shared basic assumptions.” One definition of culture includes the concept of a pattern of shared assumptions that is considered valid enough to be taught to new members (Schein, 1992). Through patterned interviews, focus groups, and leadership interactions, Hayes consultants can help your organization decipher these assumptions and determine if the culture is appropriate for the vision of the organization. Using the data, we can facilitate team meetings resulting in actions for a positive culture, help define behavior and performance models to reinforce the culture and help with pulse and engagement surveys to sustain a positive company culture. See Human Capital Valuation & Organizational Assessment. Often leaders call on Hayes to help them diagnose and solve “people problems”—those complicated situations such as interpersonal dynamics and conflict, complicated performance issues, or mismatched management styles. Our Hayes professional coaches are skilled at scoping the situation; gleaning pertinent truths; and helping the leader create a resolution that brings success to the situation. In some roles, this includes a coaching role where the leader just needs someone to come alongside of him or her and help manage through a specific problem situation. In other cases, it may involve a more specific assessment of teams or employees to ensure they are fitting in the positive company culture. Hayes brings an outsider non-biased point of view and a passion to help the individual and the organization as well as proven methodologies and extensive global experience. Learn about our Team Development. When building a positive organizational culture, it is imperative to examine leadership roles, organizational structure, workforce make-up (including skills, abilities, and motivation) and process. From the Hayes any one of these elements can not be disconnected from another element. 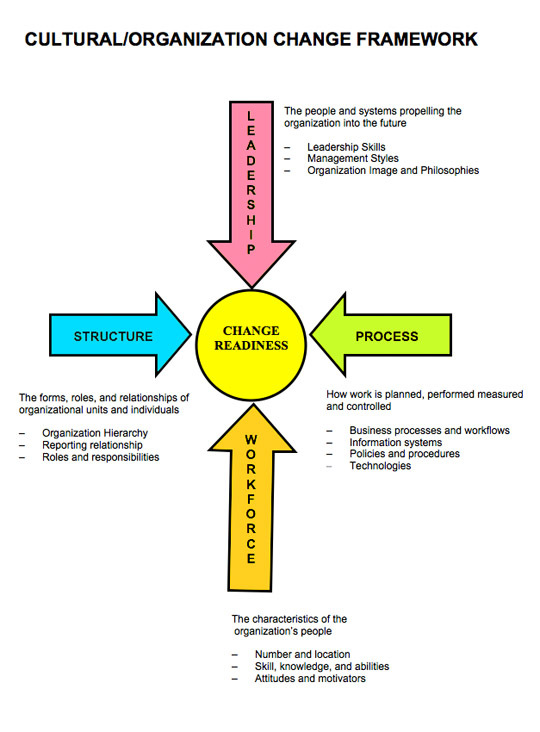 One common area to leadership, structure, workforce, and process is the human element (see diagram below). 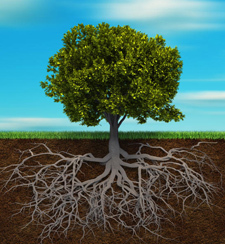 Part of culture change revolves around the question: “What is important to the organization?” and “What behaviors are rewarded?” Hayes uses its proprietary tool “The Belief System” to examine these questions – both from an individual perspective as well as an organizational perspective. The three primary concepts of the Belief System – Confidence, Trust, and Satisfaction – combined with the Belief System Motivational Assessment and training can accelerate an organization toward cultural change. Learn more about our Belief System. Succession Planning – The Hayes Team can assist you in developing a proactive succession planning process that insures continuity in leadership during changing times. Learn about our Talent Management & Succession Planning. Structure – Organization design and restructuring – Hayes consultants can work with you to determine if a re-structuring is needed, including ideas for organizational charts, matrix organizations, reporting relationships, as well as role determination and job descriptions. Work Force – Talent strategy – Recruiting and retaining the right people to create the needed culture is one key to cultural change. Hayes works with you to ensure the organization’s talent is being developed and trained in behaviors that affect the new culture. Learn about our Talent Management. Process – Ensuring process and technology change is implemented – Hayes consultants are experts in leading and implementing process change from a human perspective. Hayes can work with your lean experts and leadership team to ensure change is embraced and implemented with new processes and technologies. Omitting the human factors required for sustainable change is why many organizations lean and six sigma initiatives fail. One example of how we can help is through our 3-B Analysis – a motivational system that is coupled with lean processes to ensure individuals accept and are motivated to change. For more information on implementation, see Change Management.